One of the highlights of the Detroit Auto Show was the release of the simply stunning Corvette Z06 supercar. Apparently it’s my lucky week because the release of the Z06 has just been followed by famed Corvette customizer Callaway’s release of its own supercharged Corvette. The biggest feature of the Callaway Corvette is, of course, the supercharger. The front driven Eaton TVS blower fitted by the real life Dukes of Hazard at Callaway brings the Corvette’s LT1 engine up to 610 horsepower and 556 pound feet of torque. That’s only a bit less than the 625 hp and 635 pound feet of torque than GM’s horde of engineers got out of the Z06. What I find even more impressive, though, is the fact that Callaway reports that the addition of this massive Mad Max-style supercharger doesn’t affect fuel economy. Callaway says this is through the use of active fuel management and supercharging valving, but I think that Callaway found some sort of genie or wish granting fish. All this power is good for a 0 to 60 time of 3.4 seconds and a standing quarter mile in just 11 seconds. Not bad when you consider Callaway’s package costs just $23,000 and comes with a three year warranty. 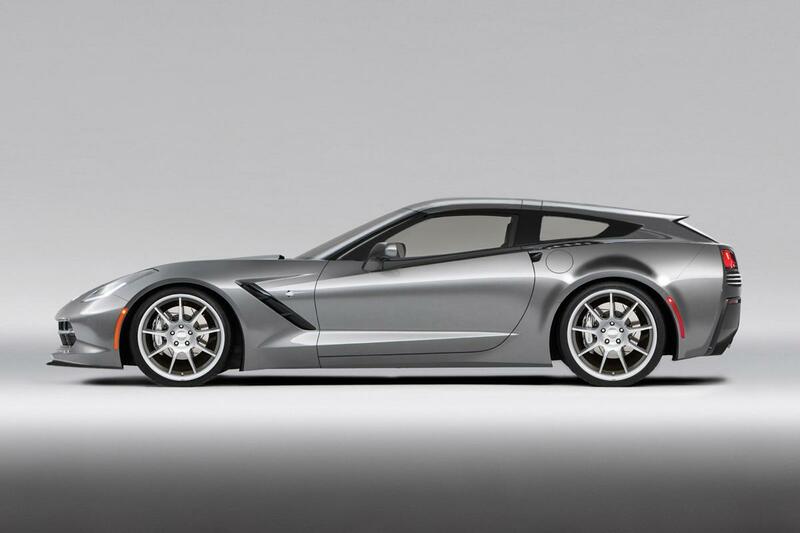 If you want something a little different you can get the Corvette Aerowagon, which converts the already gorgeous Stingray into a sleek, stunning and unique shooting brake. I know the idea of a Corvette wagon seems a bit odd, but this package just works and it will only set you back about $15,000 over the cost of the standard Stingray. If you get both the supercharger and the Areowagon packages you will be in possession of what basically amounts to an awesome, custom supercar. Still with the Z06 being as amazing at is, and trust me it is amazing, it’s going to be very hard for people who want a special Corvette to choose between the Supercharged Callaway and the Aerowagon. But fortunately, unlike a lot of hard choices in life, this one has no wrong answer.